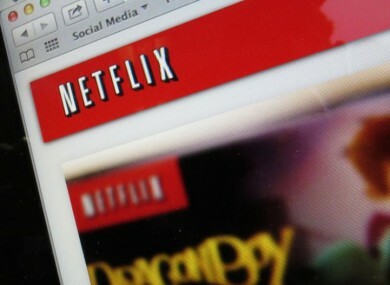 SOME NETFLIX USERS are facing a €2 per month price increase from May onwards. People who were among the first to sign up to the online streaming service when it came to Ireland will see their monthly fee of €7.99 increase to €9.99 if they wish to continue receiving a full high definition service. Alternatively, users can continue paying €7.99 per month for standard definition content which can only be viewed on one screen at a time. Since October new subscribers have paid a monthly fee of €9.99. Netflix flagged a price hike in May 2014, which allowed existing customers to stay on the €7.99 tariff for a two-year period. In a statement, Netflix said: ”Last October’s price increase for newer members included a one-year hold and will go into effect in October of this year. The company described the process as users being “ungrandfathered” and said the price increase announced two years ago will start coming into effect from next month. Read: There are big problems with Netflix speeds on Virgin Media, but who’s responsible? Email “Netflix users face price hike next month”. Feedback on “Netflix users face price hike next month”.